A community champion who was “one of a kind” has died after many years spent giving city tenants a voice. 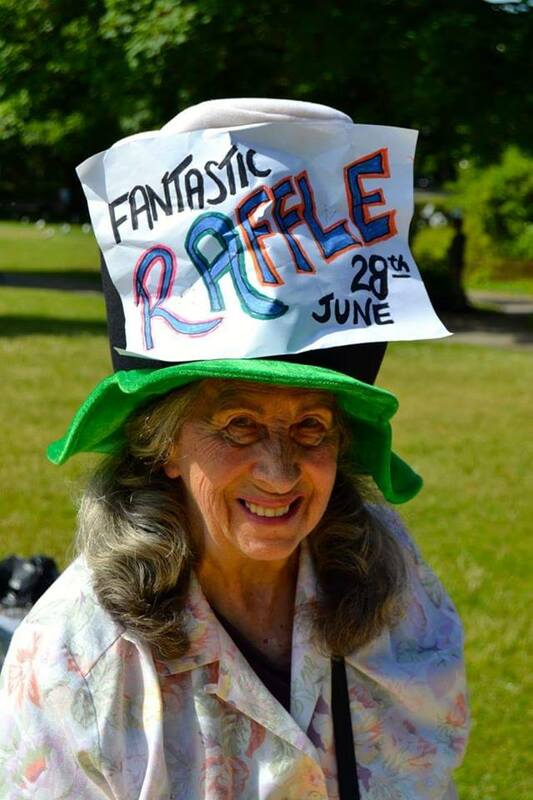 Ann Ewings, who passed away at her home in Tyson Place, Grosvenor Street, was known to many in the Queen’s Park neighbourhood as the organiser of the annual Picnic in the Park raffle. Park users would often spot her feeding the ducks, and leaving nuts stuck in trees for squirrels to find. She was also the chair of the Mount Pleasant Tenants Association, a trustee of the Brighton Resource Centre and a member of the Kemp Town Conservatives. She served as PA to the former Brighton Kemptown MP Sir Andrew Bowden. Cllr Dee Simpson, who met Ann around the time she became a councillor in 2003, said: “I knew Ann because she was a very strong Conservative and volunteered with us for years. As long as I’ve been a councillor, she’s been there. “She used to fundraise and stand up for tenants’ rights. She was a very strong in her convictions and you didn’t argue with her. If she wanted something she went for it, and fought for it. She never backed off. “I can imagine when she was going into places for her raffles, people gave to her because of her attitude. Kate Page, from the Brighton Resource Centre, of which Ann was both a trustee and a regular user, said: “Ann was a real character, she was one of a kind. She was really dedicated to helping people and sorted things out and put a huge amount of effort into the tenants association. “She could be quite independent and single minded about what she was doing. Her heart was absolutely in the right place and she worked really hard to sort things out and improve the conditions of the housing. “Once she got her teeth into something she wouldn’t let it go. She would be here making lots of phonecalls and following things up until people agreed. “She would come in a write her minutes or get posters and leaflets printed for the association. I’m so sorry to hear of Ann’s Passing. I knew her well as I lived in Tyson Place for many years. She really was a Good Soul, with her heart in the right place. I remember when my Cat died,knowing how distressed I was She knocked on my door armed with a Cat in a Cat Box which she’d got from Queens park.I said she would have to take it back as it’s Owners would be as upset as I was. A remarkable woman and activist who could be infuriating and single minded especially when being assisted with using a computer. Nobody could doubt her commitment to tenants rights, participation in decision making, and an improved quality of life for local residents. I am sure she would wish to be remembered for her work for the welfare of animals, particularly cats, as well as her housing activity. She was very proud of her past work with Andrew Bowden MP although most people she has worked with over recent years are probably unaware of her commitment to the Conservativ Party. She will missed. Oh that is sad. Ann and I got to know eachother well when I was on the council. We shared a passion for animals and a passion for good quality council housing. Rest safe Ann.